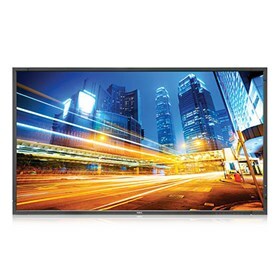 The NEC P463-AVT is a 46" LED Backlit Professional-Grade Large Screen Display with integrated tuner. The SB-03TM tuner is seamlessly integrated into the display's Open Pluggable Specification (OPS) slot to allow high-definition broadcast capabilities. LED edge lighting delivers environmental, economic, and aesthetic impact. The P series displays deliver stunning solutions, a thinner and lighter cabinet, and customizable connectivity options. The V463-PC features Industrial-strength, premium-grade panel with additional thermal protection, internal temperature sensors with self-diagnostics and fan-based technology that allows it for 24/7 operation. The NEC P463-AVT has many exciting features for users of all types. See the NEC P463-AVT gallery images above for more product views. The NEC P463-AVT is sold as a Brand New Unopened Item.